Those female members of the anti-Iran terrorist Mojahedin-e Khalq Organization (MKO also known as the MEK, PMOI and NCR) who were residing in Camp Ashraf, the former training center of the group in Iraq, were abused by the MKO ringleaders sexually, a defected member revealed on Monday. 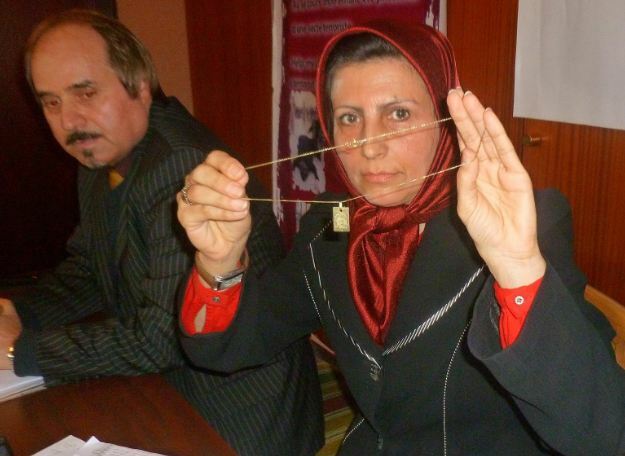 According to a report by Ashraf News website, Zahra Sadat Mir-Baqeri, one of the defected leaders of the MKO, said that she has some information about the sexual abuse of female members by the main ringleader of the terrorist group, Massoud Rajavi. "Rajavi abused women in the Camp Ashraf sexually and there is a list of 100 young girls and women who had gone under surgical operations to be raped by Rajavi," she said. Mir-Baqeri said that the surgical operations were carried out to take out the victims' wombs so that they would not be pregnant after being raped by Rajavi. This is while they were falsely told that they needed surgical operations for being infected with anemia or kidney problems. Earlier, a human rights group expressed deep concerns about the deteriorating conditions of over 3,000 members of the MKO who are under torture and harassment by the leaders of the group in Camp Ashraf in Northern Iraq. In March 2011, another defected member of the MKO revealed that the female members of the group have been living under captivity for more than 25 years and are not even allowed to appear in public places alone. The group started assassination of the citizens and officials after the revolution in a bid to take control of the newly-established Islamic Republic. It killed several of Iran's new leaders in the early years after the revolution, including the then President, Mohammad Ali Rajayee, Prime Minister, Mohammad Javad Bahonar and the Judiciary Chief, Mohammad Hossein Beheshti who were killed in bomb attacks by MKO members in 1981. In September 2012, the last groups of the MKO terrorists left Camp Ashraf, their main training center in Iraq's Diyala province. They have been transferred to Camp Liberty which lies Northeast of the Baghdad International Airport.